Object: To assess the accuracy and reproducibility of semi-automatic vessel axis extraction and stenosis quantification in 3D contrast-enhanced Magnetic Resonance Angiography (CE-MRA) of the carotid arteries (CA). Materials and methods: A total of 25 MRA datasets was used: 5 phantoms with known stenoses, and 20 patients (40 CAs) drawn from a multicenter trial database. Maracas software extracted vessel centerlines and quantified the stenoses, based on boundary detection in planes perpendicular to the centerline. Centerline accuracy was visually scored. Semi-automatic measurements were compared with: (1) theoretical phantom morphometric values, and (2) stenosis degrees evaluated by two independent radiologists. Results: Exploitable centerlines were obtained in 97% of CA and in all phantoms. In phantoms, the software achieved a better agreement with theoretic stenosis degrees (weighted kappa κ w = 0.91) than the radiologists (κ w = 0.69). 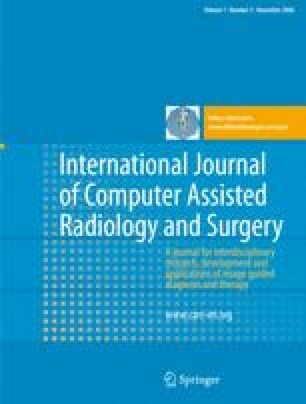 In patients, agreement between software and radiologists varied from κ w =0.67 to 0.90. In both, Maracas was substantially more reproducible than the readers. Mean operating time was within 1 min/ CA. Conclusion: Maracas software generates accurate 3D centerlines of vascular segments with minimum user intervention. Semi-automatic quantification of CA stenosis is also accurate, except in very severe stenoses that cannot be segmented. It substantially reduces the inter-observer variability.